Health IT for nursing: What now? The American Nurses Association (ANA) defines the nursing process as “the common thread uniting different types of nurses who work in varied areas—the essential core of practice for the registered nurse to deliver holistic, patient-focused care.” If the nursing process is the thread, the selection of efficient, high-value documentation elements and use of standard data and terminologies represent the needle that weaves health data into a patient story that is shareable and comparable across healthcare systems. ANA, a long-standing proponent for standardized nursing data capture, is committed to advocating for high-performing clinical information systems centered on the healthcare consumer. Optimization of clinical documentation provides the ability to efficiently tell the patient’s story and provide more time for direct patient care that supports evidence-based treatment and improved outcomes. In 2017, ANA and Rebecca Freeman, PhD, RN, PMP, former chief nursing officer, Office of the National Coordinator for Health Information Technology (ONC), collaborated to discuss recurring themes: documentation burden and standardization; the longitudinal, personcentered care plan; and a unique clinician identifier to demonstrate the value and contributions of nursing care. Stakeholder observations noted excessive data elements that are not reusable or interoperable, a lack of documentation standards, and care planning that doesn’t easily translate across settings or disciplines. To coordinate efforts to help achieve forward movement in these areas, ANA and ONC held a stakeholder meeting in September 2017 to share knowledge, explore recommendations, and encourage feedback to develop next steps. The collaboration has continued through virtual workgroup discussions regarding functional and process-related requirements, technical requirements, policy and regulatory implications, and research/evidence-based recommendations. ANA’s 2018 Year of Advocacy highlights members advocating for patients and the profession. In observance of United States National Health Information Technology Week (October 8-12), here we share stories from some of the ANA/ONC collaboration’s nurse leaders who are advocating for improved nursing documentation in the electronic health record (EHR). We hope the stories will inspire advocacy for an optimization journey that improves nursing documentation and encourages collaboration with stakeholders including ANA to share successes and lessons learned. Since the first Nursing Knowledge: Big Data Science Conference in 2013, nursing informatics experts have been working to refine the electronic health record (EHR) so that it demonstrates the value of individual nurses. Sharing data is the key, according to conference co-leader Bonnie Westra, PhD, RN, FAAN, FACMI. Westra and her research team developed 10 data models based on flowsheet data from one healthcare organization, then compared it with collected flowsheet data from other organizations. From that analysis, Westra and her colleagues came up with a core set of values to recommend for inclusion in the EHR. Westra, an ANA and Arizona Nurses Association member, and her colleagues discovered that common data models have not accurately captured nurse assessments and interventions. “A lot of funded studies represent patient demographics, medical diagnoses, and procedures, but don’t represent the actions that nurses take,” she said. 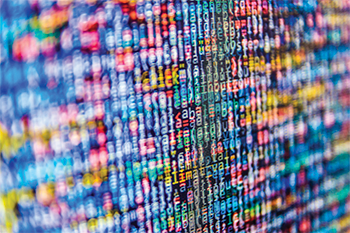 It’s this shortcoming that Westra wants the big data science initiative to address. The conference’s 10 working groups are taking on the challenge by focusing on areas like care coordination, encoding and modeling, health IT policy, and mobile health for nurses. 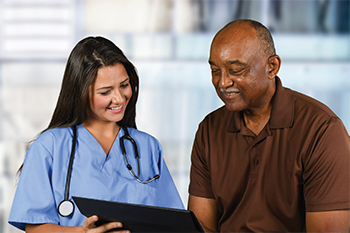 The initiative is working with ANA to promote the use of recognized terminologies supporting nursing practice in health IT, which will help reduce the documentation burden for nurses and other healthcare providers. ANA’s recent collaboration with the ONC on nursing documentation began with convening nurse leaders in September 2017, and continuing with two virtual EHR work groups: one on the documentation burden and standardization and the other on care plans. The aim is to integrate best practices and methods, possibly elevating those to the national level. “Current e-care plan documentation is often focused on the collection and sharing of clinical information, but the capture and sharing of nonclinical information, such as social determinants of health, is less common yet essential to providing quality care,” explained Elizabeth Palena Hall, MIS, MBA, RN, the long-term and postacute care coordinator in the Office of Policy at the ONC. “The e-care plan should follow the patient across the lifespan, not just in disaster or recovery,” said Hall. To that end, Hall said that everyone on the care team should have the ability to include information in the EHR that identifies their role in patient care as well as the patient’s health goals in his or her own words. The ONC has been in discussions with EHR vendors about capturing care plan data. “As these e-care plans are being developed, it’s important to consider health IT care plan standards, and understand how integration of these standards can support and impact workflows,” Hall said. Is it worth taking time from direct patient care? During her time as chief nursing informatics officer at the Bon Secours Health System, Patricia Sengstack, DNP, RN-BC, FAAN, began her work on streamlining the EHR to improve the nursing admission assessment. Nurses constantly complained that it was taking them too long to complete and that it contained fields that had no impact on patient care. Sengstack’s graduate student helped with an analysis and found that the EHR required 593 clicks to complete all the fields. “I think we can do better and give our nurses time back with their patients,” Sengstack said. When she left Bon Secours to teach at Vanderbilt University, Sengstack continued her work to reduce the clinical documentation burden for nurses. Her doctoral student at a hospital in Washington State used a decision support tool started at Bon Secours to assess the value of data elements in an admission assessment. A total of 127 assessment elements were reviewed using a set of 10 criteria to determine the item’s value. Forty items (31%) were deemed to have low value with most of them documented elsewhere in the record. “Removing these items is just the beginning of the tedious process we’ll all need to go through as we clean up our EHRs and standardize nursing documentation to improve efficiency and ensure the ability to share data,” Sengstack said. Sengstack, in her current role as nursing informatics executive, recently worked with a group of nursing leaders at Vanderbilt University Medical Center to develop guiding principles for adding new items to the record. These principles provide guidance to the team now responsible as the “click-gatekeepers” when requests are made to add more documentation for nurses to complete. These principles also support standardization, workflow support, and overall value. Sengstack believes it will take persistence and perseverance to roll out documentation improvements, along with national efforts such as this ANA/ONC collaborative. HCA Healthcare, composed of 178 hospitals and 1,800 sites of care in 20 states and the United Kingdom, provides over 28 million patient encounters per year. This care is driven by more than 87,000 HCAaffiliated nurses. The voice of nursing is elevated throughout the organization through the CNO Council. 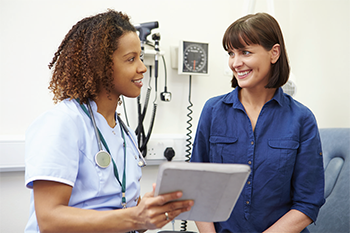 Through a survey of more than 800 nurses, the CNO Council identified reduction in documentation as a key need for advancing nursing practice in HCA hospitals. This would require a complete rebuild of nursing documentation in the electronic health record (EHR). The Council, which served as the steering committee for the multi-year effort, established the vision, objectives, and guiding principles for the project. Members also served as the arbiter of any conflicts or disputes. Evidenced-based clinical documentation (EBCD) is a complete rebuild of nursing and respiratory therapy documentation after 15 years of using the same EHR vendor. This was a comprehensive effort that required defining ideal workflows and associated data flows, identifying documentation elements and mapping to a standard nursing taxonomy, and application of advanced informatics techniques to streamline and align documentation to workflow and bring decision support to the clinician. The vision for EBCD was to create a patient-centric record that guides and informs the provision of safe, effective and efficient care by the interdisciplinary team and produces data to evaluate care of individual and populations of patients. While reducing the overall documentation burden, this project also would create shareable, comparable data that could be used to drive improvements in patient care. EBCD was designed for nursing and respiratory staff end-users in inpatient, emergency department, surgical services, behavioral health nursing, and respiratory therapy across 170 hospitals. In addition to the optimized documentation screens, end-users had access to education and training. The entire project was overseen by a governance model with change management and operational maintenance plans. Executive sponsorship is critical. Leaders at all levels of the organization were expected to adopt an ownership mentality for this project, from managing change requests to gauging impact to providing support and resources for any issues or concerns. Documentation must be built to support ideal, not real, workflows. Each facility and unit had unique workflows. Consensus based on these real workflows would have been nearly impossible. However, we found that clinicians quickly came to consensus regarding ideal workflows, which were used as the basis of this project. Project roles must be clearly assigned. Each contributor had a specific role in this project. Clinical content was provided by practicing clinicians, informatics strategies were provided by informaticists, regulatory review was provided by regulatory experts, and executive oversight was provided by the steering committee. Establish guiding principles that reflect goals and values. These guiding principles form the foundation for the entire project, and are used to drive content and requests for additions or changes to the model. Adopt a nursing taxonomy. The Clinical Care Classification System provided structure and defined domain completeness for the development efforts. Realize that this is more of a culture change than a technology implementation. The vision for this project was to support the provision of care and the people who provide that care. The technology was a tool to accomplish this goal, not the goal in itself. Establish success metrics. Ongoing progress tracking and sharing successes are essential for maintaining momentum for a large-scale, longterm project like this. — Jane Englebright is senior vice president and chief nurse executive at HCA Healthcare. — Kelly Cochran is assistant director of policy at ANA. Rebecca Freeman is interim chief nursing informatics officer at the University of Vermont Health Network. The authors acknowledge Marisa Cox and the ANA and ONC Documentation Burden/Standardization and Care Planning Virtual Work Group for their contributions to this work. — Elizabeth Moore is a writer at ANA.